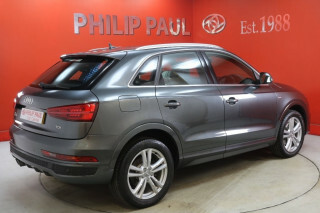 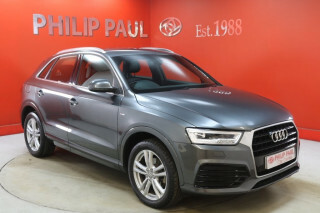 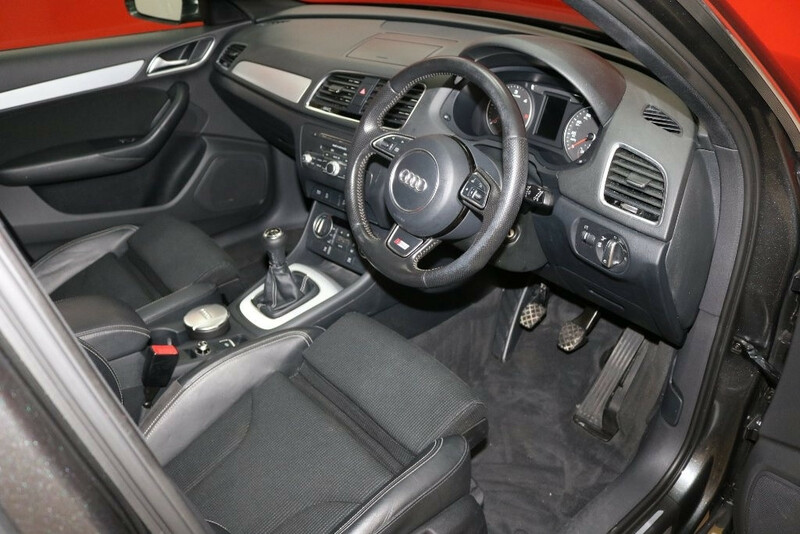 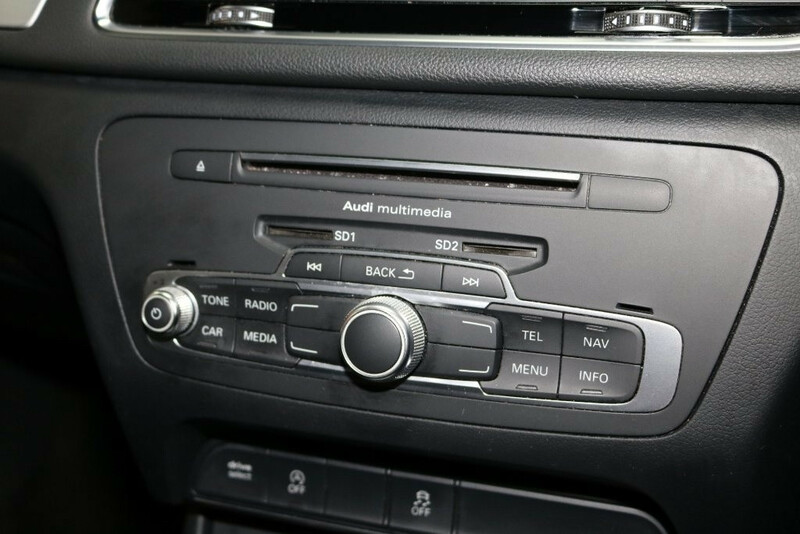 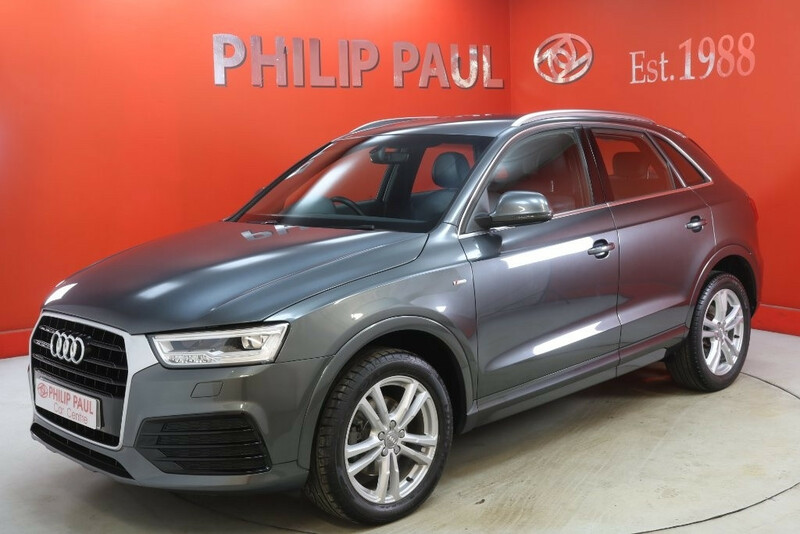 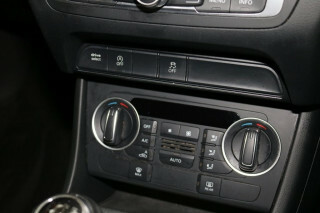 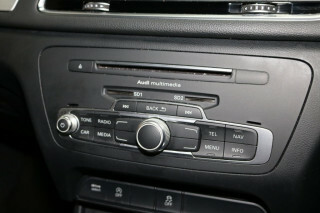 Grey, 1 owner, This is a stunning example of the Audi Q3 S Line TDi, with the 2.0 diesel engine. 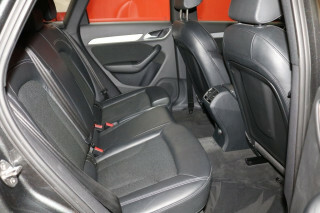 This model has been finished in a lovely grey metallic, with a beautifully presented half leather interior. 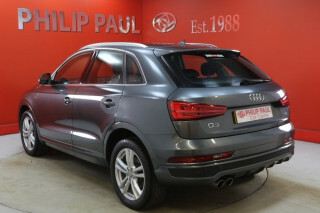 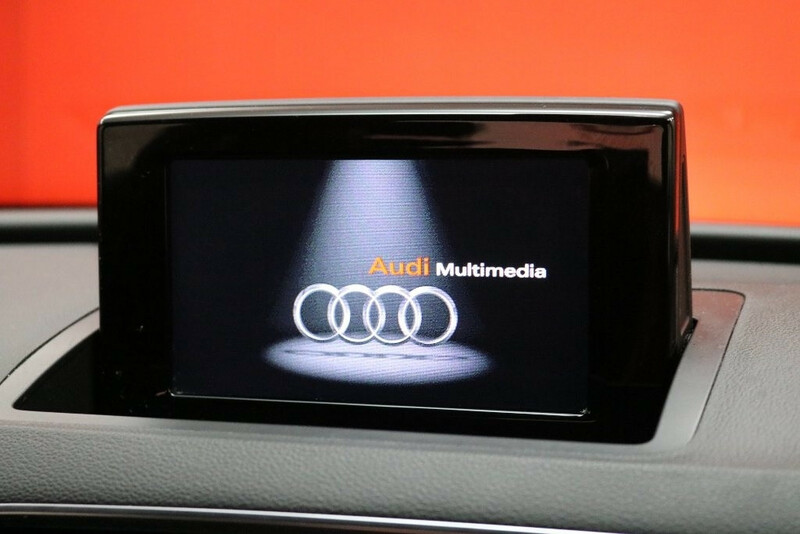 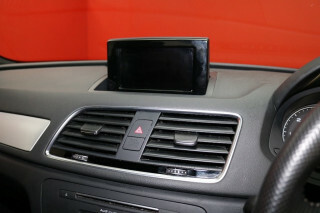 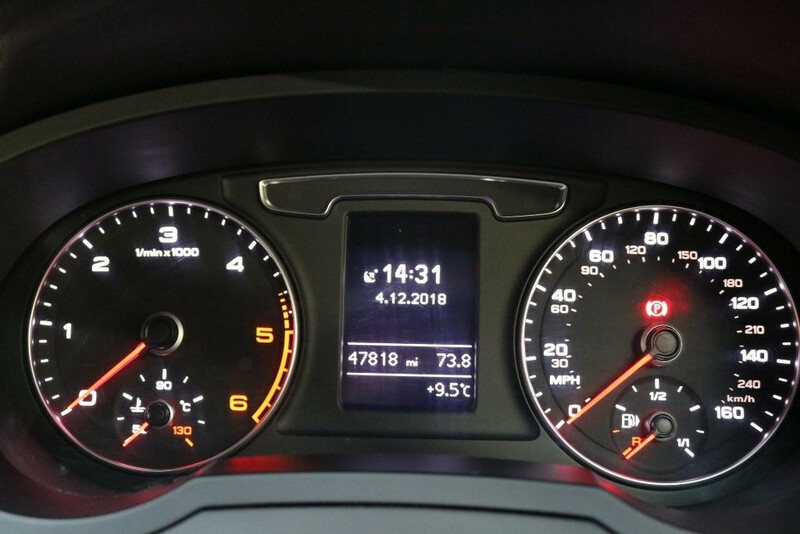 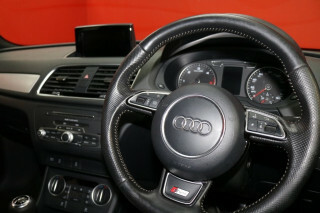 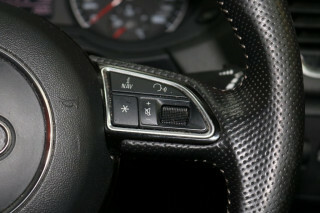 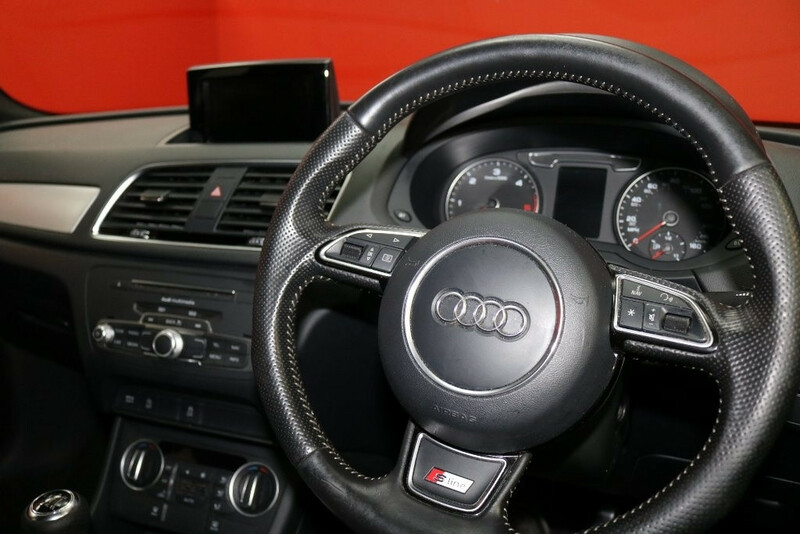 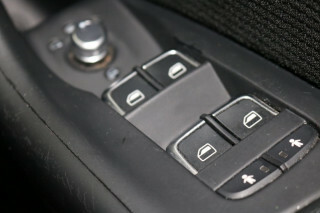 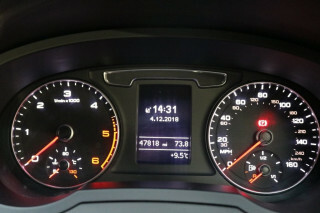 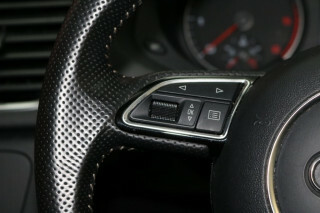 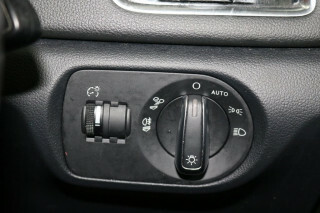 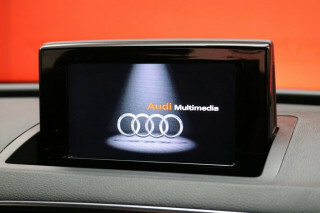 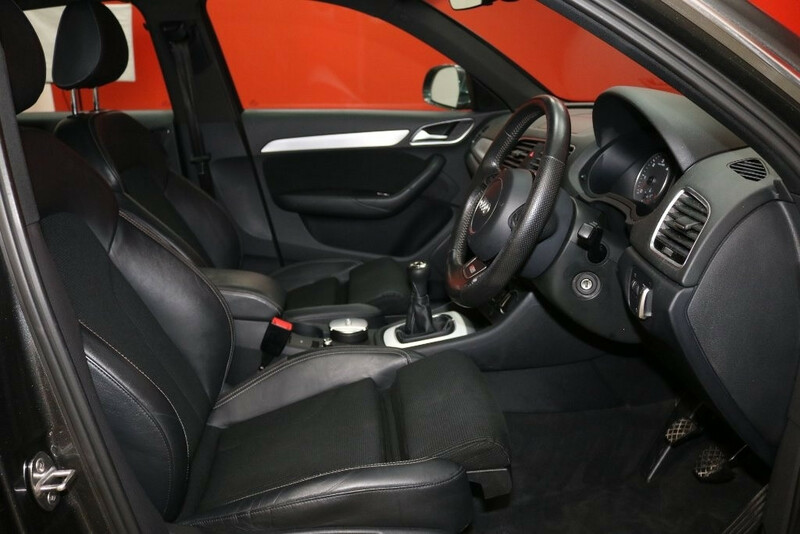 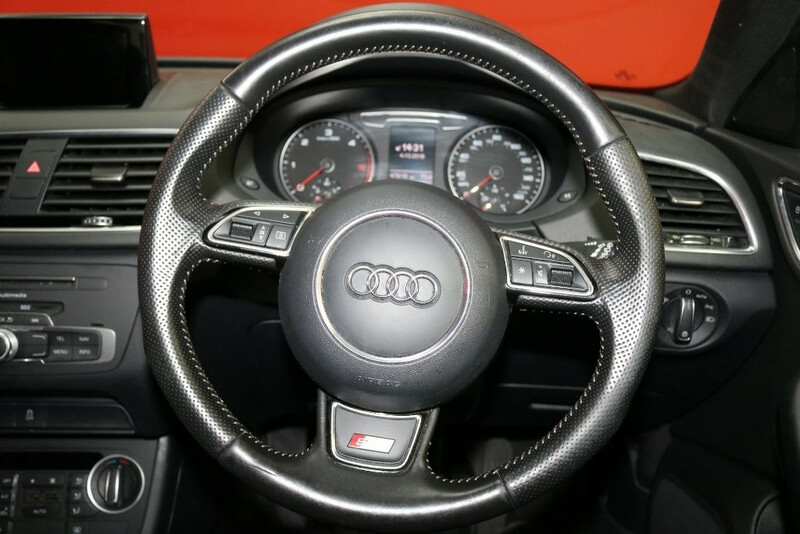 The Q3 has clearly been looked after, as it benefits from a full Audi service history. 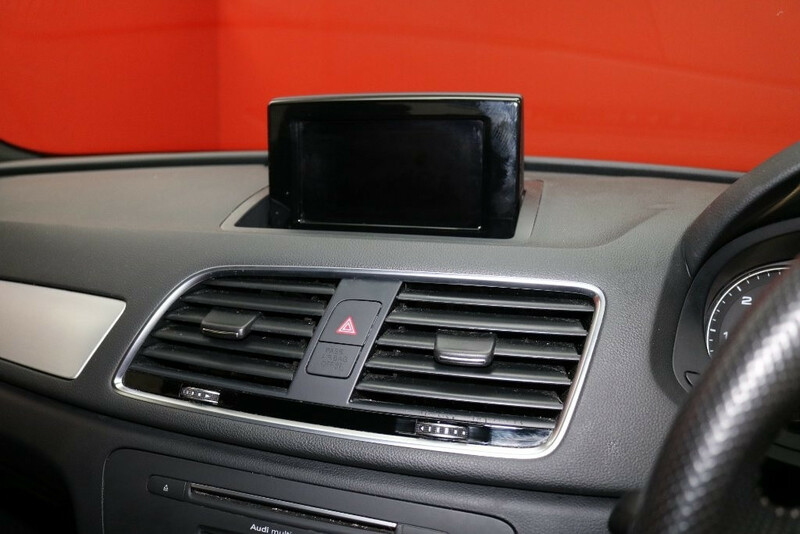 We have put the vehicle through our comprehensive 125 multipoint check, completed by one of our fully qualified technicians. 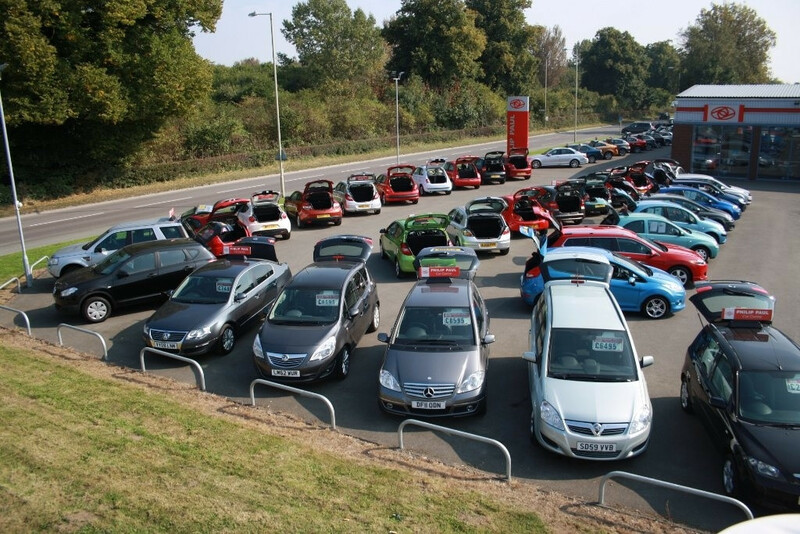 This fantastic example has been hand picked by our dedicated buyer, who has over 30 years experience in buying the highest quality vehicles. 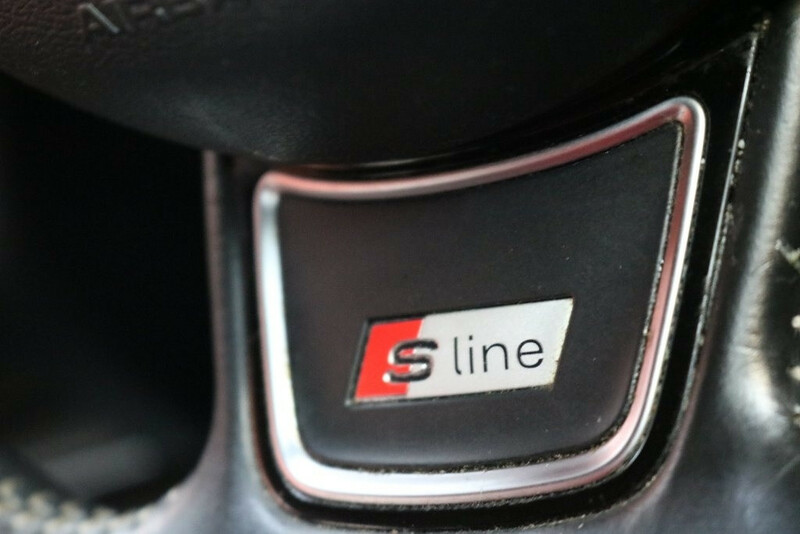 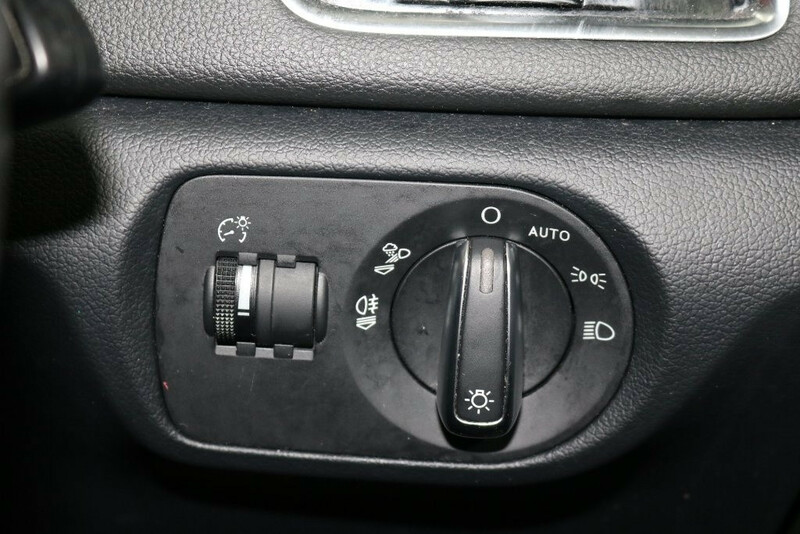 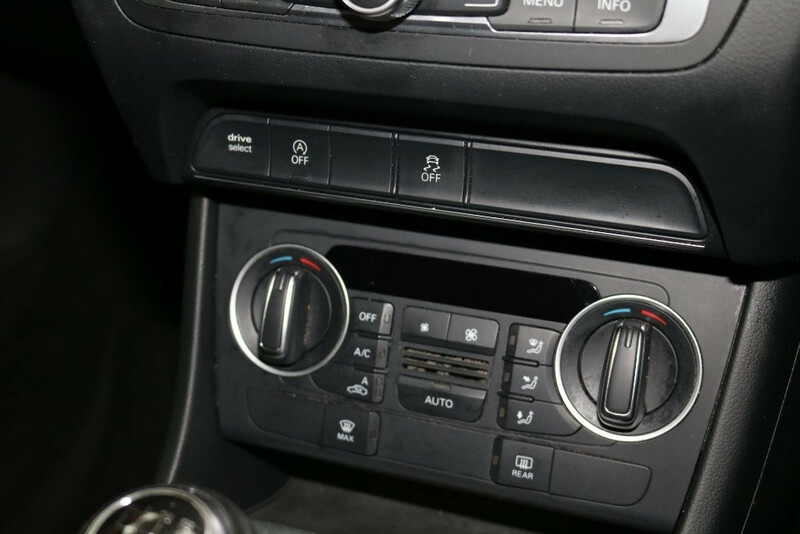 The S Line model has some brilliant features including, Climate control, Rear parking sensors, Automatic headlights, Steering wheel mounted controls, Rain sensing windscreen wipers, AUX and USB input, Bluetooth connectivity, Electric windows, Electric mirrors and 18'' Alloy wheels. 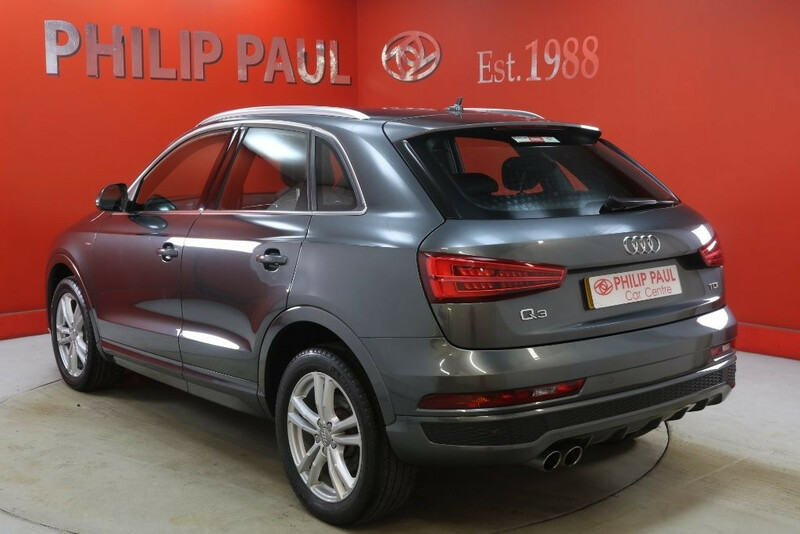 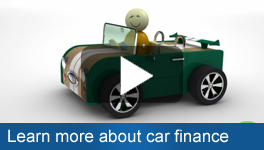 All of our vehicles come with a 3 month warranty, with options to extend cover for up to 2 years.